Council meetings are held on the last Thursday of each month commencing at 5.30 pm AND the second Wednesday before the last Thursday of each month commencing at 8.30 am. ?Council meetings are held in the Council Chamber at Council's Administration Centre?44 Princess Street, Macksville. Members of the public are welcome to attend meetings and address the Council.? Registration to speak may be made by telephone or in person the day before the meeting meeting day.? The relevant agenda item will be brought forward to the beginning of the agenda, and dealt with following preliminary business items on the agenda.? Public addresses are limited to five (5) minutes per person with a limit of two people speaking for and two speaking against an item.? 5.4???? Notice of Motion - Availability of Industrial Land - Macksville & Nambucca Heads (SF477) ? 11.11? Status Report on Waste Matters ???? Councillor Anne Smyth seeks leave of absence from Thursday 3 May to Tuesday 15 May 2012, inclusive. That Cr Anne Smyth be granted leave of absence in accordance with Section 234(d) of the Local Government Act for the period Thursday 3 May 2012 to Tuesday 15 May 2012, inclusive. ?????????????? That leave be granted. ?????????????? That leave not be granted. AUTHOR/ENQUIRIES:???? Rhonda Hoban, Councillor ???????? The State Government has recently engaged a Small Business Commissioner to evaluate the benefit and cost of services to our local business community.? This review includes the vital service of FREE business assistance to our local businesses through the Business Advisory Service. That Council write to Minister Hodgkinson seeking an assurance of the continuation of the Business Advisory Service. The new Small Business Commissioner, Yasmin King, visited coastal shires in October last year to listen to the views of local business owners.? It is important that the Commissioner and State Government are aware of the benefit the Business Advisory Service can bring to our local business owners. The business mentoring system provided by the Service helps to reduce the 80% failure rate of small business and allows experienced mentors the chance to assess those businesses that have the right qualities and commitment and back them with the time and resources needed to get a viable business up and running. Many people in our Shire create their own employment by starting a new business or taking over an existing business.? They do not necessarily come to the new venture with experience in running a business. Advice at the early planning phase is vital in building sustainable businesses and in some cases actually discouraging some people from going ahead before they invest in a business that is not likely to succeed. While the delivery of the Business Advisory Service varies from Local Government Area to Local Government Area, it is important that the service is continued and adequately resourced as a critical strategy to create sustainable jobs, a diverse business base and strong regional communities. AUTHOR/ENQUIRIES:???? Brian Finlayson, Councillor ???????? Council arrange for the Director environment and Planning to provide a report setting the numbers of rural blocks which for various reasons do not have building (dwelling) entitlement but which are located fronting existing sealed roads or are bisected by sealed roads with a view to Council taking steps to provide a process whereby those blocks may obtain a building entitlement. That Council receive a report setting the numbers of rural blocks which for various reasons do not have building (dwelling) entitlement but which are located fronting existing sealed roads or are bisected by sealed roads with a view to Council taking steps to provide a process whereby those blocks may obtain a building entitlement. This is a matter that has been previously touched on in discussion about various matters arising before Council. There seem to be a large number of blocks which front sealed roads or are bisected by sealed roads which blocks are not large enough to enjoy a building entitlement according to the rules that apply to the zones in which they are situated. Generalisations are probably impossible to make but a significant percentage of those blocks were created by road deviations engineered by Council (or perhaps RMS) or by the consequences of the provisions of wills of people who died years ago. Some may exist by virtue of changes to the LEP over the years. In at least some cases a landholder may own say two hectares on one side of a road with another five hectares on the other side. The whole property is not a viable farming unit and even in those cases where the areas might be larger, land holders are faced with the problem of getting machinery or livestock from one side to the other. Whatever the history, there are a large number of blocks (I suspect hundreds) that are agriculturally unviable and which in many cases are simply breeding grounds for camphor laurel tobacco bush and lantana. Assuming it becomes possible for these blocks to obtain building entitlement, the owners will be required to provide electricity (the cost of which in many cases will be prohibitive) and to pay contributions ? the building entitlement may not be the pot of gold that many anticipate. But in general terms it would be a better situation with someone living on those blocks, keeping them tidy, sending some kids to school and hopefully spending some money in the local community. From conversations with Councillors from other shires, it seems that we are not the only Council looking at this. There are further problems in the more westerly sections of this shire where the areas required for building entitlement are larger (and the roads are not sealed).. A landowner with 80 hectares can build a house ? a person with 79 cannot. However at this stage it is probably better to restrict the investigation to properties already fronting sealed roads. DIRECTOR ENVIRONMENT AND PLANNING COMMENT. Discussions with Council's Senior GIS Officer and Strategic Planner have been held to try and estimate what is able to be done and what time allocation would be necessary. 1.?? First stage would be to run a "query" for all "polygons" <40ha (<100ha in the upper catchment area) in area fronting bitumen sealed roads. 2.?? Then run a further "query" to delete any property which has an occupied garbage service. 3.?? Then apply the aerial photography to identify any property which appears to have an existing dwelling. 4.?? Then apply Council's current vegetation, regionally significant farmland and flooding overlays to delete any properties constrained. 5.?? Then it will be necessary to review all remaining lots/parcels to identify dwelling entitlements noting that this takes approximately 15-20 mins per review. The Senior GIS Officer has suggested that for his part in the review (items 1-4), it would take between 2-3 full days to complete. Then depending on the final numbers of lots/parcels, item 5 could take some time with approximately 4 lots/parcels being reviewed per hour. In accordance with Department of Planning guidelines, once Council has the above information and resolves to pursue possible dwelling entitlements. Council would need to prepare a Rural Lands Strategy and undertake a review of the Rural Residential Lands Strategy to justify why and how dwelling entitlements should exist. Council must then seek the support and any requirements of the Department of Planning before proceeding. Should Council resolve to review its Rural Residential Lands Strategy or prepare a Rural Lands Strategy as part of this resolution, it would be a Planning Decision and a record of voting is required. Council review the availability of industrial (employment) lands at both Nambucca Heads and Macksville and if thought necessary take steps to rezone further land for this purpose. That Council review the availability of industrial (employment) lands at both Nambucca Heads and Macksville and if thought necessary take steps to rezone further land for this purpose. Apart from the blocks owned by Council along Old Coast road near the intersection with Hyland Park Road, there is no other industrial land available in Nambucca Heads.? The proximity of that land to residential areas probably places constraints on the type of industrial activities that can take place there. There is still some land so zoned in Macksville but most of it is either in a swamp or within one ownership and is contained within a deceased estate.? The asking price for that land when offered to Council, when added to development costs made the prospective price of developed land well beyond an amount that fledgling businesses in Macksville might be expected to pay.? The present owner has not indicated any intention to develop that land.? Other land to which the bus manufacturer intended to relocate (but which did not proceed because of falling orders) lies available but is not zoned appropriately for multiple industrial use, notwithstanding that the owner has gone to considerable expense in preparing it for industrial use. Although there is abundant land zoned at Boggy Creek, there are no services and it is likely that there would have to be a massive industrial presence to justify the expenditure required to establish services there.? In the meantime, smaller industrial undertakings are running out of room in which to become established. In general terms, it is undesirable to leave all land zoned in a particular way within one ownership (such as has happened elsewhere) as this enables a landowner to hold the rest of the Shire to ransom. Council, with assistance of funding from the Department of Planning and Department of Regional Development undertook an Employment Lands Strategy in 2010. This Strategy has been endorsed by the Department of Planning and was used in the Local Environmental Study supporting the Valla Urban Growth Area Rezoning and also the ne Standard Instrument LEP. Some land was identified south of Macksville (Congarinni), and the Strategy identifies some 57Ha in total and suggested that it would be required in the medium (10+years) to long term (25+years). The Strategy also identified that Industrial land in the Nambucca Area would be provided in the new Valla Urban Growth Area. Should Council wish to undertake a preliminary investigation and identification of an area or areas not identified in the Strategy a review of the Strategy will be required and any identified area will need to be assessed against the Sustainability Criteria in Appendix 1 of the Mid North Coast Regional Strategy. Alternatively, if an individual landowner is identified and is willing to pursue a rezoning over their land which is not identified in the Strategy, the Department of Planning and Infrastructure have previously indicated for possible employment lands, that provided the identified land meets the Sustainability Criteria it is prepared to consider an individual Planning Proposal. Should Council resolve to review its Employments Lands Strategy as part of this resolution, it would be a Planning Decision and a record of voting is required. Full testing to occur at Senior Citizens Centre on Sunday 11 March.? Issues with testing on 11 March 2012.? Further testing to be scheduled. Staffing and end of month deadlines means this requirement will always be difficult to meet. Pre-School advised to proceed with preparation of easements for bush fire hazard reduction. Draft flood study likely to be presented to Council April/May 2012. Deferred to 26 April Council meeting. In place for a six month trial. Inspection to be scheduled to coincide with Work Cover availability.? WorkCover had advised they will be undertaking an audit of the Saleyards at 9am on Friday 13 April 2012. Further work being undertaken on the policy emanating from the resolutions of Council?s meeting 2/2/12.? Draft policy will now be provided to Councillors for comment at end of February. Due to natural disasters deferred to April 2012. Reporting on establishing a stand alone library service now the priority.? Arrangements with other Councils to be the subject of on-going investigation. Follow up letter sent to WorkCover Authority on 3 February 2012.? Local office telephoned and promised it would be attended to. Further follow up letter sent on 6 March 2012. Audit by WorkCover to be undertaken at 9am on Friday 13 April 2012. Advice has been received from the Office of Environment & Heritage. Deferred to April due to natural disaster assessments taking preference over other business. Further deferred to April 2012. Letter sent 6 January 2012.? Follow up letter sent 22 February 2012. Council receive a report on all long term funds. To be reported to meeting on 11 April 2012. Referred to Youth Developement Officer for investigation and report to Council. Council write to the Hon. Tony Burke MP asking what public consultation occurred prior to the determination re Lowland Rainforest EEC; also requesting any available mapping; and seeking assistance for ground truthing. Council write to the Minister seeking support to have the Manufactured Home Estate Caravan Park & Camping Regs amended to include a requirement for the provision of a detailed emergency evacuation plan for all occupants. There be a complete report on all non-recurrent expenditure items in the Engineering Dept. budget including water, sewer, and plant acquisition.? The report is to provide details of the original budget estimates and expenditure to date with comment on any anticipated variance or delay in project completion. Draft format being prepared for presentation to 26 April 2012. That the list of grant applications and their status to 20 March 2012 be received. Council has made application for an interest rate subsidy under LIRS for the construction of three bridges (Touts, Lavertys & Eungai Creek) which have combined value of $1.314million. **?????? From the Environmental Levy Fund, subject to Minister approving rate increase. Please note that no application was made for the anti-graffiti project which Council considered at its meeting of 16 February 2012 due to a lack of evidence of ?graffiti hotspots? and a lack of interest from members of the community with whom I consulted. The project required strong community involvement and I was unsuccessful in identifying a group within the community that wanted to develop a project to be funded. Also, the Police were unable to provide statistics to confirm graffiti is a problem. The Grants Officer, incorporating duties associated with Section 94, has reviewed the status of S.94 Contribution Plans and provides the following report identifying key activities and issues in the short to medium term. 1??????? That the Section 94 Status Report ? April 2012 be received. 2??????? That Section 94 activities as outlined in the report be endorsed. The Council last received a status report in relation to the Section 94 Contribution Plans (CPs) in September 2011. That report was prepared based on the status report provided to Council by the former Section 94 Coordinator. In the time between September 2011 and now, the Grants Officer has spent some time reviewing the CPs under which contributions are currently collected and must revise her September 2011 advice that no plans require review. All but three of the CPs (Smiths Lane, Bellwood and Community Facilities and Open Space) require some action. This report also provides an update on the financial status of s.94 contributions as at end FY 2010/2011 (the latest for which confirmed figures are available).? Works schedule has been updated and a new document is to be placed on website. Five-year review is scheduled for 2013. Awaiting a final decision on the timing of the upgrade of the Pacific Highway between Warrell Creek and Nambucca Heads before a review is undertaken. Current ? no need to review until 2015. Due for review now to maintain currency of work schedule which concludes at end of this financial year. Overdue for review (should have occurred in 2010). Approval processes are planned to be undertaken in May (Council, Department of Planning and Infrastructure, Public Exhibition). Due for review this year. A decision will need to be made about whether the plan should be repealed or maintained, based on an assessment of Council?s future s.94 needs. A recommendation will be presented to Council following a review of the plan. This budget is in arrears and a preferred way to recoup money will need to be identified. Council has asked for a review of these plans, which has not yet been undertaken.? No contributions are collected under this plan currently, however it should be reviewed and updated if required in case it is needed in future. Review required. Contributions from future development in the catchment will enable Council to recoup costs associated with road construction, or contributions could be collected under the future Local Roads Contribution Plan when it is in place.? Review required. If cost of road construction has been recovered the plan should be repealed and no further contributions collected. Review required. Contributions from future development in the catchment will enable Council to recoup the costs of this project, however plan should be reviewed to be consistent with best practice. Could be repealed if all works have been completed.? To be confirmed with DES. Planning meetings have been conducted with DES and DEP to scope the project. A past Council recommendation identified the need for specialist assistance to develop this plan and it is the Grants Officer?s belief that these specialist skills are required. She will be attending a two-day course on Development Contributions in late June 2012 and will have a better understanding of the work required at that time, however some specialist skills may need to be contracted to contribute to the development of this plan, to assist the Grants Officer. 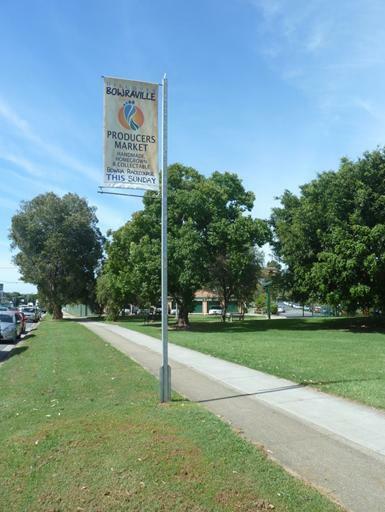 - April/May is the target date for public exhibition required for the update of the South Macksville Road Works CP as well as public notice of the repeal of the plans identified above. - The Grants Officer, in consultation with relevant Council staff, will look at ways to improve the s.94 process, including developing a s.94 ?ready reckoner? so development applicants can estimate via the internet what charges they are likely to incur. - New statistical information should be available in June/July 2012 from the 2011 ABS Census to input into plans that are due for review. - Given the cessation of Council?s partnership with Clarence Regional Library, there may be a need for a s.94 Contributions Plan to be developed for the Shire?s libraries. This possibility will be explored in future. Section 94 developer contributions represent a significant income stream for Council and provide for upgrading essential infrastructure to meet demands of a growing population. The review of plans will help ensure project costs are accurate and contribution rates justifiable. There may be some slight reduction in contributions received when plans are repealed, however the Council is exposed to possible litigation if contributions are collected when they are no longer required. No impact on the current budget. AUTHOR/ENQUIRIES:???? Michael Coulter, General Manager; Faye Hawthorne, Accountant ???????? The report considers the performance of Council?s investments, other than those in term deposits.? Based on the advice of Council?s investment advisor, CPG Research and Advisory it is not recommended that Council divest itself of any of these investments at this time. 1??????? The General Manager be provided with delegated authority to invest in longer dated term deposits being terms of up to 5 years.? Further, any decision to invest in longer dated term deposits is only to be made in accordance with advice received from CPG Advisory. 2??????? That the information concerning Council?s investments be received. There are no real options.? Whilst Council does not have to accept the recommendations of its professional investment adviser (CPG Research and Advisory Pty Ltd), they have a record of providing Council with sound and reliable advice both before and after the GFC.? Council chose to ignore their recommendation to participate in a run-off vehicle (fund) for the BlackRock Diversified Credit Fund and instead chose to liquidate the asset in ?fire sale? circumstances post GFC.? CPG estimates that this decision resulted in Council recouping $200,000 less than would have been achieved if it had accepted their advice and participated in the run off fund. At Council?s meeting on 15 March 2012 it was resolved that Council receive a report on its long term funds. It is understood that the required report is to address Council?s investments other than those in term deposits. To put this in perspective, as at 29 February 2012 Council had investments of $24.43m in term deposits and $7.28m in other funds.? That is, about 23% of Council?s total investment portfolio of $31.71m is in funds, other than term deposits.? However two of these are ?on call? accounts required for operational reasons.? Therefore the investments which are the primary focus of this report are those in Macquarie Global Income Opportunity; NSW Treasury Corp and Averon II.? These three funds account for $4.85m or about 15% of Council?s total investments. *Council no longer has funds invested in the Longreach series.? Following advice from CPG Advisory it exited these funds in late 2011. From the same report, the average interest rate on Council?s 27 term deposits is 6.12%.? These term deposits have returns varying from a low of 5.47% to a high of 7.15%.? Generally the higher returns come from a longer term. The following provides comments on each of these investments. This investment is a holding account for Council?s investment advisor CPG Advisory.? They draw funds from the account to make investments and also use the account to deposit funds from redemptions and to make interest payments.? As a holding account it shouldn?t be expected that returns would match a term deposit.? For the financial year to date a return of 5.17% is considered reasonable.? The return in the previous 2010/20122 financial year was 6.72%. This is an on call account used to pay creditors.? Similar to the UBS Wealth Management account, the balance in this account varies significantly.? For example, one week in March 2012 Council made payments to creditors of about $1m.? Council?s Accountant has to manage Council?s cash to ensure there is sufficient funds in this account to pay creditors but also not to have excessive cash which could otherwise generate a higher rate of return in a term deposit.? This task becomes more complex when Council undertakes major capital works by contract. Initially ANZ provided a 6% interest rate on the average balance of this account for a fixed term.? However this interest rate dropped at the expiration of the term.? Recent representations to ANZ resulted in the 4.5% return being reinstated. There is commentary on this investment in the attached report from CPG Advisory.? Whilst the return of 2.42% for the financial year to date has been disappointing it should be noted that the investment return in 2010/2011 was 8.67%.? CPG quote a 3 year return of 8.5% being double the cash rate. CPG Advisory recommends the retention of the investment as there are few other investments offering the same combination of yield, credit quality and liquidity.? They note the investment survived the GFC while when many investment types held by other councils crumbled. The attached report from CPG Advisory advises that the TCorp ?Hour Glass Long Term Growth Facility? is primarily a stockmarket fund and as such has behaved quite predictably in line with the share market. CPG believes that over the long term it will probably outperform fixed interest.? Their argument is fairly persuasive, ie if it was genuinely expected that investing in businesses would return less than 4% forever, it implies an effective collapse of the economic system.? This is not impossible, but at the same time not likely. Whilst the return for the financial year to date has been a disappointing -0.08%, in the previous 2010/2011 financial year it provided a respectable 6.91% return. An important principle in managing an investment portfolio of $32m is to reduce risk through diversification.? Following the change in the Ministerial investment orders post GFC, essentially limiting new investments to term deposits and the TCorp facility, the large majority of Council?s investments are now in term deposits and on-call accounts.? The TCorp facility will represent a significant growth opportunity when growth in the share market returns.? Some may argue the question should be ?if? growth in the share market returns but the assessment by CPG is supported, ie the ?when? is more likely than the ?if?. The performance of Averon II was reported to Council on 17 November 2011 at the same time as it received advice about exiting from the Longreach products. The Averon II investment is capital protected and has just over two years to maturity (June 2014). According to CPG Advisory, the underlying bond/collateral for Averon II is a Dexia covered bond, which is a very illiquid line (not a lot of trading).? Dexia (the company) needed to be bailed out/nationalised by the Belgium government in October 2011.? Combined with the backdrop of the current European debt crisis, the value of the Dexia covered bond has continued to drop. CPG recommends that Council retain this investment as at a mid-price of 79.21, with approximately 2 to 2.5 years to maturity, the yield to maturity is around 9.7% p.a.? If the security was redeemed now, not only would Council get less than 79.21 due to unwind and exit costs, but there are no other securities it can invest in (switch) that is offering a higher yield than 9.7% p.a. Therefore Council has a choice of making a capital loss on the investment of 20.79% or retaining it with a guaranteed return of 9.66% p.a to maturity.? The answer is fairly obvious and is reinforced in more recent advice from CPG Advisory which is attached. ?The General Manager be provided with delegated authority to invest in longer dated term deposits being terms of up to 5 years provided the total portfolio exceeding 2 years is not more than $5m. Further, any decision to invest in longer dated term deposits is only to be made in accordance with advice received from CPG Advisory?. Council is now approaching the $5m limit for term deposits with a life of more than 2 years. Whilst the opportunity for further longer dated term deposits will depend on advice from CPG Advisory and in turn the interest rate spreads between short and long term as well as Council?s liquidity requirements, it is recommended that the $5m limit be lifted to enable the Accountant to quickly respond to recommendations from CPG in relation to favourable term deposit offers from the banks. There has been consultation with Council?s investment adviser CPG Research and Advisory Pty Ltd. There are no particular risks, other than those associated with managing an investment portfolio of about $31m. We?ve discussed Averon II in the past ? both via email correspondence and quarterly reports and much has continued. The security is a capital protected note and during the GFC, the note fully delevered. This meant that it has stopped paying any coupons/periodic interest payments. On a mark-to-market basis, if you redeem and withdraw from the note prior to its maturity on 20/06/2014, Council would be realising a capital loss (currently close to somewhere around 20% of original face value). However, if the security is held to maturity, Council would receive its original face value back i.e. and not incur a capital loss. The question then remains, is it better to take redeem immediately, take a capital loss or hold until maturity and not realise a capital loss? If you redeem immediately and incur a capital loss, where would you invest the proceeds from the sale? You would only redeem if you can find another investment that is yielding a higher return than if you were to simply hold to maturity and receive the full capital back. This is called the yield-to-maturity (ytm). The ytm for the Averon II note is above 10% p.a. (based on exit prices ? price you receive from redeeming). Now in the current investible universe i.e. TD?s, senior FRNs, cash at-call accounts, etc., there are no assets you can invest where the return is greater than 10% p.a. As such, we would not recommend Council to redeem and therefore hold onto the security at this stage. It is only if the sale price is favourable and/or there is an alternative asset (that can be invested) which is paying a higher return, then this would only be case where we would recommend Council to redeem prior to maturity. With regards to the T-Corp Growth Fund, it is typically invested in 70% growth assets including Australian and international shares, listed property and emerging markets. The remainder of assets is invested in more conservative securities such as cash and Australian bonds. The Fund is more volatile given the underlying investments and it has and will continue to return negative monthly returns. In fact, like most growth assets including shares, over the longer-term, due to the GFC and poor market conditions, it has provided some negative returns. Over 3 years, its returned +9.2% p.a. while over 5 years its returned -0.2% p.a. This shows the volatile nature of growth assets and funds such as T-Corp Growth Fund. Ultimately however, we can't be compelled to recommend to sell at these levels. The reason is credit has always led, and credit has been fairly strong this year. High yield spreads have narrowed by over 200bps (to 600bps). Even bank credit default swaps (CDS) have narrowed up to 100bps - even while FRNs blew out. We would recommend Council to sell the growth fund when shares become stronger, or if high yield collapses. However, it does also go back to basics in terms of Council?s risk tolerance. Can it continue to withstand potentially another flat (0%) or even negative year in the T-Corp Fund? If not, the option would be to redeem and invest into a longer-dated fixed TD at 6.7% for 5 years (which we believe is a good result given the possibility of a low interest rate environment for a long time). T-Corp Growth may return +10% p.a. over that same time or it may return lower or even higher than that. Would Council be satisfied with 6.7%p.a.? This is the sort of discussion that needs to take place internally. 1??????? That Council agree to the compulsory acquisition of the nominated road reservation under Section 30 of the Land Acquisition (Just Terms Compensation) Act. 2??????? That Council agree to compensation of $7,000 plus GST. 3??????? That where required, Council?s seal be attached to documents required for the Section 30 deed and for the transfer of the land. Council could dispute the offered compensation but would need to be prepared to commit funds to undertaking a valuation.? Given the nature of the land which is located between the road reservation and the rail reservation as well as the cost of obtaining a valuation, it is not considered there is any benefit in disputing the valuation. There is currently a project underway to ?ease? a curve on the North Coast Railway Line as shown on the attached plan.? The site is situated on the section of track between Nambucca Heads and Raleigh, 4km north of Nambucca Heads.? Apparently Transport Express JV were liaising with the RMS (RTA) with regard to access and compulsory acquisition for some time until it was determined that it was actually Council and not the RMS who owned the land. Council has received the attached letter from Transport Express JV acting on behalf of the Australian Rail Track Corporation (ARTC) advising they have determined the extent of land proposed to be acquired from Council to accommodate the infrastructure associated with their project and are in the process of preparing and registering a deposited plan for the purposes of a compulsory acquisition of a section of Council?s road reservation.? The area required is approximately 1.008ha.? There are no improvements on the land and Council does not actively maintain the land. They also advise that the ARTC has commissioned a valuation report that has determined the assessment of compensation in accordance with the Land Acquisition (Just Terms Compensation) Act 1991 at $7,000. Transport Express JV seeks Council?s agreement to the amount of compensation and also seek confirmation of Council?s agreement, in principle, to the compulsory acquisition of the land under Section 30 of the Land Acquisition (Just Terms Compensation) Act.? If so, ARTC will prepare a Section 30 Deed which sets out the process of acquisition and compensation payment for the acquired land. It is understood that the encroachment of the railway line works onto the road reservation only became apparent after the works had commenced. The section of road reservation which is proposed to be compulsorily acquired will have no impact on Council?s road network and accordingly Council should agree to the compulsory acquisition for the nominated compensation. There was a report to Council?s meeting on 20 October 2011 in relation to the proposed acquisition. There are no significant implications for the environment.? A review of environmental factors previously submitted to Council indicated that the rail curve easing was unlikely to have a significant impact on any threatened flora of fauna. There are no significant social issues. The compensation for the land will have a minor impact on Council?s budget. The Nambucca River Jockey Club has asked Council to reconsider a resolution to require a first right of refusal or buy back option in the requested sale of Council owned land which comprises part of the Bowraville racecourse.? In lieu of obtaining a valuation for the sale of the land which was also resolved by Council, the Club has offered to acquire the land for $4,000 and meet Council?s reasonable expenses in the reclassification of the land. The Club?s request for reconsideration of the resolutions is supported. 1??????? That Council support representations by the Nambucca River Jockey Club for the transfer of the Trust Management for Reserve D540002 from Council to the Nambucca River Jockey Club. 2??????? That Council advise the Nambucca River Jockey Club that it is willing to sell Lots 3 and 4 DP 596774 for $4,000 plus GST subject to the land being reclassified from community land to operational land. 3??????? That, In relation to the reclassification of the land, the Nambucca River Jockey Club be advised they will be required to meet Council?s reasonable expenses being the $1,574 (including GST) fee for a planning proposal plus the fee (at cost) for the independent person to conduct the public inquiry. 4??????? That the Nambucca River Jockey Club be advised that they will be required to meet all of Council?s legal costs in relation to the transfer of the land and all expenses associated with Reserve D540002. 5??????? That following receipt of the fee for a planning proposal from the Nambucca River Jockey Club, Council proceed to undertake the reclassification of Lots 3 and 4 DP 593774 from community to operational land and that the General Manager be provided with delegated authority to appoint an independent person to undertake the public hearing. Council has discretion as to whether it sells the land to the Nambucca River Jockey Club or not.? It also has discretion in relation to the price it will accept for the land. Council is the registered proprietor of Lot 3 and 4 in DP 593774 being the land upon which the Nambucca River Jockey Club has its clubhouse and racing facilities (Lot 3) and land forming the starting run to the racecourse proper (Lot 4).? The land is classified as community land. Council is also the Trust Manager for Reserve D540002 being the racecourse proper.? The Reserve is gazetted as a Public Recreation Reserve. Both Lots 3 & 4 in DP 593774 and the Crown Reserve are leased to the Nambucca River Jockey Club until September 2013.? The leases are interdependent.? The rental on each lease is set at the minimum statutory rent of $396.00 per annum. A map showing the land is attached. In 2009, the Nambucca River Jockey Club requested Council consider selling the Council owned land to the Club and transferring the Crown Reserve Management to the Club. The Club advises that Racing NSW (the controlling body of Thoroughbred Racing in NSW) is in the process of establishing a minimum venue standard for every racing and training venue in NSW.? The Club has advised that they are committed to achieving minimum standards to ensure the ongoing operation of the racecourse. The Club?s commitment to the ongoing operation of the racecourse however presents a less than ideal situation for the Club insofar as the Club?s capital expenditure on assets will be committed to land they do not own or control.? It should be noted that currently the majority of improvements to the racecourse facilities have been financed and completed by the Jockey Club. The Club does not propose to change the current operation of the facility or reserve other than to effect improvements that may be required to meet the minimum venue requirements required by Racing NSW? so as to best ensure continued operation. 1????????? That Council agree in principle to a proposed sale of Lots 3 in Deposited Plan 596774 and Lot 4 in Deposited Plan 596774 to the Nambucca River Jockey Club subject to negotiation of terms satisfactory to Council.? These terms are to include the right of first refusal or a buy back option for the price for which the land is sold in the event the Nambucca River Jockey Club seeks to sell or transfer the land in the future.? 2????????? That Council write to the Nambucca River Jockey Club requesting details of their proposal to meet the minimum venue standards. 3????????? That Council receive a report from the Property Officer detailing the suggested terms of the proposed sale of Lots 3 in Deposited Plan 596774 and Lot 4 in Deposited Plan 596774 to the Nambucca River Jockey Club for their further consideration of the matter. 4????????? That Council obtain a valuation for the sale of Lots 3 in Deposited Plan 596774 and Lot 4 in Deposited Plan 596774, the cost of the valuation to be met by the Nambucca River Jockey Club. Council has now received the attached letter from the Nambucca River Jockey Club. In essence the Club seeks the reconsideration of resolutions 1 and 4. In relation to resolution no. 1 the Club advises that their constitution effectively protects the community?s interests if, in the unlikely event, there was rationalisation in the racing industry which resulted in deregistration of the Club.? The Club?s contention is supported and it is agreed that Council not require a first right of refusal or a buy back option in the event the Club seeks to sell or transfer the land in the future. In relation to resolution no. 4, the Club has put forward for consideration a sale price of $4,000 noting the value of the improvements they have undertaken; the cost of a valuation; the importance of the racecourse for our local tourism industry; and the community benefit in the use of Club facilities for other functions such as markets, the annual tree fair, presentation days, charity days etc.? The Club has also offered to meet Council?s reasonable costs in reclassifying the land from community to operational and for all of the outgoings of the reserve.? This would presumably include the pump out of the septic tank at the public toilets for which the Club has been claiming a reimbursement from Council as the toilets are open for general use (not only racegoers). Again the Club?s contentions are supported and it is recommended that Council proceed to reclassify the land from community to operational so as to be able to sell Lots 3 and 4 DP 596774 to the Nambucca River Jockey Club for $4,000 plus GST.? Council should also accept the Club?s offer to meet its reasonable expenses in the reclassification of the land as well as meeting all of the outgoings for the reserve. Under Sections 29 and 47G of the Local Government Act, Council must employ an independent person to conduct a public hearing into the proposed reclassification of lots 3 and 4 DP 596774.? The reclassification must proceed as a planning proposal.? This process is arduous and it is proposed that the Club be requested to pay Council?s adopted charge for a planning proposal being $1,574 plus the fee for the independent person to conduct the public hearing at cost. The Mayor and Manager Business Development has met with representatives of the Nambucca River Jockey Club. The merits of the contentions put forward by the Nambucca River Jockey Club have been discussed with the Manager Business Development. There are no social implications.? The use of the Bowraville Racecourse will be unchanged. The proposed transfer of land will provide the Nambucca River Jockey Club with greater certainty in undertaking further investment in the upgrading of the Bowraville Racecourse.? Their ownership of the land may also improve their ability to obtain finance. There is no significant impact on Council?s current or future budgets.? There will be a minor ($4,000) revenue gain from the sale of the land. The report is short.? There is no requirement for a summary. That the information concerning the findings of the technical review of the alignment of the Pacific Highway upgrade between Macksville and Nambucca Heads be received. Council can make a submission if it chooses to.? However given that a team of experts and specialists independent of the original project team has undertaken a detailed assessment of the relative merits of the two alignments there is limited scope to query or challenge the findings of the technical review. Council has received the attached letter from Roads and Maritime Services. The letter indicates that the review of the alignment of the eight kilometre section of the Pacific Highway upgrade between Macksville and Nambucca Heads has determined that the approved alignment is preferred to the alternative alignment put forward by a number of residents. The draft technical review paper is available for community comment until Friday 20 April 2012.? RMS will then collate and consider the comments and then make a recommendation to the Minister for Roads and Ports. The RMS has provided the Mayor and Acting Director Engineering Services with a briefing. There are no new environmental implications. There are no new social implications. The on-going delay in upgrading the Pacific Highway through the Nambucca Valley is a major risk to the safety and well-being of local residents and highway users generally. The report acknowledges the Annual General Meeting of the Valla Beach Tennis Courts Committee of Management (which was held on Sunday 26 February 2012) and the new Committee.? A copy of the minutes, including the Treasurer?s report are attached. That Council endorse the Valla Beach Tennis Courts Committee of Management?s minutes of the Annual General Meeting held on 26 February 2012 and thank the outgoing Committee for their work in the past twelve months. Awaiting information on encroachment on sewer line, stormwater control, reduction in glare and bushfire assessment report. Environment and Planning Department Development Application statistics for the financial year 2012 compared with 2011 and Certificate Applications/Drainage Diagrams/Outstanding Notice Applications received and determined are provided in the body of the report. The figures show a 7.41% decrease in the number of DA?s received to March 2012 with construction costs decreasing by -144.93% compared to the same period in 2011. The total number of DA?s/CD?s approved for the month of March was 14 plus 2 modifications. The following is the Contract Regulatory Officer?s Report for March 2012. That the report from the Contract Regulatory Officer for March 2012 be received and noted by Council. The minutes of the Annual General Meeting and regular meeting of the Aboriginal Community Advisory Committee meeting held Tuesday 6 March 2012, are presented for Council?s endorsement and hold 3 recommendations for Council?s consideration. It is proposed that the Aboriginal organisations listed in recommendation 2 (italicised below), be advised that a list of Development Applications received by Council are presented to Council at each of its meetings. Therefore these are accessible and available free of charge on Council's website under "Business Paper and Minutes". Any application "required" to be referred to the respective Lands Council's are done so in accordance with the Nambucca Development Control Plan 2010 which clearly identifies the type of Development Applications that are referred. As such, the recommendation from the ACAC be amended as outlined in the recommendations below. That Council provide a regular list of received development applications to the Bowraville Local Aboriginal Lands Councils, Nambucca Heads Local Aboriginal Lands Council, Unkya Local Aboriginal Lands Council, MiiMi Aboriginal Corporation and Muurrbay Aboriginal Language and Culture Co-operative. Recommendation 3 (italicised below), will be referred to the Grants Officer for investigation. If there is a requirement for matching or some form of contribution then this be referred back to the committee for consideration and identification as to where the funds would come from, who would be the auspice body and where the person would be located. ??????????? That Council investigate grant opportunities for an Aboriginal Sites Officer, in consultation with the three Local Aboriginal Lands Councils, MiiMi Aboriginal Corporation and Muurrbay Aboriginal Language and Culture Co-operative. 1????????? That Council endorse the Minutes of the Aboriginal Community Advisory Committee held 6 March 2012. 2????????? That Council advise the Bowraville Local Aboriginal Lands Councils, Nambucca Heads Local Aboriginal Lands Council, Unkya Local Aboriginal Lands Council, MiiMi Aboriginal Corporation and Muurrbay Aboriginal Language and Culture Co-operative that the list of development applications received by Council are contained in the Business Agenda presented to each Council meeting, accessible from Council?s website. 3????????? That Council investigate grant opportunities for an Aboriginal Sites Officer, in consultation with the three Local Aboriginal Lands Councils, MiiMi Aboriginal Corporation and Muurrbay Aboriginal Language and Culture Co-operative. 4????????? That for future cultural competency workshops, local organisations within the Nambucca Shire boundaries to be given priority and Council notes that these cultural competency workshops are to be Nambucca Shire specific. This recommendation was put forward out of concern of the potential impact of 4WD's beach access points, and Bellwood's new residential subdivision. Members stated that Bellingen Shire Council emails a list of received development applications to the Coffs Harbour Local Aboriginal Lands Council which in turn forwards them onto Nambucca Local Aboriginal Lands Council and MiiMi Aboriginal Corporation. Development applications put forward to the Bellingen Shire Council can be commented on within specified time periods which and the email also has the ability to be receipted. This allows Bellingen Shire Council's Aboriginal community consultation processes to be efficient and effective. There was a mention that Councillors receive in their Business Papers a list of received development applications and if the Aboriginal organisations listed above be added to the Councillors list, time management and constraints can be easily managed. This recommendation was discussed by members because of the possibility of there being an increase to received development applications to the Nambucca Shire and increased workloads of Lands Councils and other Aboriginal organisations. That the Committee note the adoption and endorsement of the recommendations of the Minutes of the Meeting held 9 August 2011, by Council at its meeting of 15 September 2011. Communications Protocol - Cr Flack mentioned that the timing for the initial meeting was wrong. Cr Flack, Ms Marcia Hillery and Ms Patricia Walker will liaise by email to confirm possible dates for discussion. Ms Robinson discussed the 4WD access points at Coburn Street, Valla Beach and the potential disaster to the wetlands. The area is a public thoroughfare and is a 4WD access point. Ms Robinson was also informed about the Council's Grants Officer and Strategic Planner were seeking grants to match Council funds to upgrade the coastal management of the Nambucca Shire. That Council provide a regular list of received development applications to the Nambucca Heads Local Aboriginal Lands Council, Unkya Local Aboriginal Lands Council, Bowraville Local Aboriginal Lands Council, Muurrbay Aboriginal Language & Culture Cooperative and MiiMi Aboriginal Corporation. If possible, this action can coincide with business papers for Councillors. That Council investigate grant opportunities for an Aboriginal Sites Officer, in consultation with the Bowraville Local Aboriginal Lands Council, Nambucca Heads Local Aboriginal Lands Council, Unkya Local Aboriginal Lands Council, MiiMi Aboriginal Corporation and Muurrbay Aboriginal Language & Culture Cooperative. That for future cultural competency workshops, local Aboriginal organisations within the Nambucca Shire boundaries to have priority and Council notes? 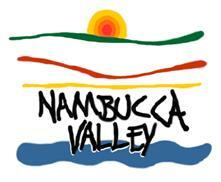 that these cultural competency workshops are Nambucca Valley specific. Ms Hillery discussed how important it was that the Aboriginal Community Development officer position have some community contact e.g. visit to local organisations once a month. Ms Hillery was told about the information from all forums were in the Community Strategic Plan which can be accessed on Council?s website. There being no further business the Mayor then closed the meeting the time being 11.15 am. Attached for Council?s attention are the minutes of the Access Committee for meetings held 28 February 2012. The minutes contain no recommendations for Council?s endorsement. That the Minutes of the Access Committee held 28 February 2012 be endorsed by Council. There were no specific recommendations for Council?s consideration from these Minutes. There are no issues identified.? That the Committee note the adoption and endorsement of the recommendations of the Minutes of the Meeting held 25 October and 22 November 2011, by Council at its meeting of 15 December 2011. -??????? After hours taxi rank ? people are encouraged to use the ?No Parking? zone as a drop-off zone as this is allowable in the RTA road rules. No further action. -??????? Wallace St Pedestrian Crossing lighting ? Recommended improvements have been made and will go to Council this week. To discuss at next meeting. -??????? Council Website enlargement settings ? issue has been raised and is waiting for action. -??????? Toilet Doors ? is on the list and waiting for action. -??????? Wallace Street ? is on the list and waiting for action. -??????? BCU step ? letter was sent and has been acknowledged. Waiting for response. -??????? Constitution ? has been adopted by Council. Letter to Credit Union in relation to the ATM. No formal recommendation was made. 1?????? Healthy Communities ? discussion was held regarding the adult exercise stations. 2?????? Nambucca / Macleay Pensioners and Welfare Officers Seminar ? to be held 1 August. More details to follow at future meetings. 3?????? Seniors Week 2012 ? Roaring 20?s event. 4?????? Scooters ? survey by NRMA/ACCC users are encouraged to complete. 5?????? Plantar Boxes ? to be decorated in car theme. 6?????? Alzheimer?s Carer Course ? to be held at Nambucca Heads RSL on 25 March 2012. 7?????? Library Signage ? needs to be larger. Library Manager to raise issue. 8?????? Fall Zero Course ? for staff members to address responsibilities with regards to building access issues. 9?????? AGM ? deferred to a later month. 10???? Painting required on Mackay and Princess Streets and the kerb angles are a problem. We will look at the PAMP to see if it is on the list of works to be done. 11???? Wellington Drive ? Mangrove roots are affecting the footpath and overhanging branches are sometimes a problem. At times they have been broken off and left lying around. 12???? Community Transport Bus ? fold up steps and railings to get on and off the bus are causing concern about the access in case of emergency. Bus to be investigated for emergency access procedures by Peter Shales. Groups who use the bus are to be briefed on procedures. 13???? U3A are now using Nambucca Senior Citizens Hall. 14?? Unsafe parking on Estuary Lane ? trial speed bumps to stop vehicles rolling. A Smyth to investigate how the bumps will work and report back to next meeting. There being no further business the Mayor then closed the meeting the time being 3.40 pm. It was resolved at Council?s meeting on 1 March 2012: That consideration of the findings of the odour testing of the free range piggery at Tewinga by E-Nose Pty Ltd be deferred to Council?s meeting on 11 April 2012. ?????????? There is non pig odour that is also affecting residents of Tewinga, (noted that all adjoining land is rural and graze different animals, eg cattle, goats, horses and pigs). ?????????? Several extreme odour events that occurred during the testing period were not pig related. ?????????? Pig odour does reach the neighbouring residents. ?????????? The pig odour detected is characteristic of an intensive piggery. ?????????? There is pig related odour occurring even after the pigs are removed from the property, this maybe related to the impregnation of the ground from their dung. ?????????? The pig odour is carried past the boundaries of 266 Irvines Road. ?????????? The odour was the greatest when there were numerous pigs (approx 140) at the property. 1????????? That Council note the final report and its recommendations. 2????????? That Council when next reviewing Nambucca Development Control Plan consider greater buffer zones along the RU1 and R5 interfaces for future development applications. 3????????? That Council write to owners of 266 Irvines Road and attach a copy of the odour management recommendations from the E-Nose Report for their consideration and implementation. There are limited options for Council other than the above recommendations. Odour testing was done between February and April 2011 and again in September to November 2011, using electronic noses. Measurements were done on known odours (odour fingerprints), such as intensive piggeries, ambient farm land, and cattle grazing. The long term monitoring was matched to these known fingerprints to decipher what types of smells could be identified; what types of smells were constant and what smells were intense. Odour diaries were maintained and filled out by residents and these were cross referenced with the electronic data. This is to test whether what the E-Nose was detecting corresponded in time with the human experience. The report found that there were many fluctuations in air quality during the night and day and that there were from time to time, odour events that greatly exceeded the ambient intensity levels. These 'spikes' showed that they were not related to pig odour. The ambient long term odour produced identical fingerprints to piggery odour. During the second testing phase (Sept?Nov) the pigs were taken off the property 5 days after testing began. The ambient odour on days 1-3 matched the fingerprint of an intensive piggery. There were several periods of time after the pigs had been removed that the odour continued to match those of an intensive piggery, such as back in the first stage of testing Feb-April, when there were pigs on-site. This implies that the ground where the pigs have been grazing is impregnated with their dung and the odour will continue until broken down into the soil. The study has shown that free range pigs in numbers as low (less than 200) as those at 266 Irvines Road, is not ideal in areas adjacent to zoned R5 (Large Lot Residential) land, as this property clearly produced nuisance odours beyond the boundaries of the pig operation. NB, this type of land use is permitted in RU1 (primary production) zoned land. Proximity of residential properties R5 to RU1 land suggests that a larger buffer zone needs to be incorporated to ensure amenity to the residents is better managed or mitigated. Odour may be perceived differently by different people. The odour assessment of 266 Irvines Road has produced some results. Further consideration needs to be given to wider buffers in Rural areas so that these forms of land use conflicts may be avoided to ensure sustainability with primary production and residential growth. Offensive odour is a pollutant under POEO Act 1997, the social affect on residents can include sickness, mental anguish and neighbourhood disputes. For economic growth of an area there has to be RU1 zoned land and residential areas, the two cannot be side by side unless there is an extensive buffer zone. There is a high risk of litigation from residents living close to odorous properties. Land use must be taken into account when approving sub divisions in or adjacent to primary production areas. The costs of the monitoring came from the Environmental Levy as approved by Council. Following the findings from the Internal Audit and further investigation of the fees and charges applied by adjoining and nearby Council's, it is apparent that Nambucca Shire Council's fees for "Maintenance in Perpetuity" and provision of funds for further improvements and ongoing maintenance are significantly less than those charged by other Council. Whilst the fees received each year generally match the expenses incurred, the capital costs for new works including roads and Columbarium Walls are being funded from General Fund. As a result of these investigations, it is proposed that a comprehensive overhaul of the fees structure for interment in Council's cemeteries be undertaken to ensure that the fees charged reflect the actual, ongoing and future maintenance costs as well as the establishment of a reserve for the future expansion of a number of cemeteries within the shire. This overhaul is proposed to include a considerable increase in the 2012-2013 budget year and considerable increases in the subsequent 3 years, up to and including the 2015-2016 budget. The overhaul is clearly outlined in the discussion section of this report. 1????????? That Council note the proposed revised fee structure for Cemetery Services within Nambucca Shire Council and the revised fees be included in the Draft 2012/13 Revenue Policy for public exhibition. 2????????? That Council include two new fees in the Draft 2012/13 Revenue Policy for the Relinquishment of a Cemetery Reservation and the transfer of a Reservation to a family member. Council could choose to maintain the current fee structure and apply CPI increases which will in the future, require the provision of considerable funds from General Fund to accommodate future interments in the cemeteries within the Shire. One of the items highlighted for further investigation in the Internal Audit of Council's fees and charges related to the fees applied to cemeteries and burials within the Shire. The Audit suggested that Council's fees and charges do not accurately reflect the true costs for Cemetery services and the future costs to be incurred when cemeteries need to expand. Initial investigations suggested that the Nambucca Shire fees were less than, but comparable to adjoining and nearby council's who also provide cemetery services. The comparable fees reflected the fact that Nambucca Shire Council does not provide the grave digging services required to excavate for a traditional burial, with the fees being incurred by the undertakers. Estimates in the range of $450-$800 were obtained for a contractor to excavate a grave, backfill and remove surplus earth material. Noting that some graves still need to be hand dug due to limited access by a machine. Upon further investigation it appears that the Maintenance in Perpetuity fees which are incorporated into Council's fee for a cemetery plot, or for the reservation of a niche in the Columbarium walls do not provide for the provision of a Reserve once the cemetery is completely full, or where major works are required to prepare a new area in an existing cemetery or the construction of a new Columbarium Wall once one wall is fully used/reserved. The following Council's have been used to gauge the comparability of fees for the provision of cemetery services; Bellingen Shire Council, Coffs Harbour City Council, Kempsey Shire Council, Armidale Dumaresq Council, Gloucester Shire Council. As identified in the table, the fees charged vary somewhat as does what the Council's provide. In regard to the interment of ashes all other Council's recover the costs for a new Columbarium Wall when a reservation/interment is made, whereas in Nambucca's case the costs of the wall are only recovered once an interment is made. What is being found is that Niche reservations are being taken out with more than 50% of a Wall being reserved and insufficient funds are being recouped to build another wall necessitating capital funds being required from General Fund. The fees associated with a burial plot vary significantly due to some Council's providing the grave digging service as well. Bellingen Shire and Nambucca Shire do not provide the grave digging service whereas the other compared Council's do. Based on their advice the grave digging, backfilling and removal of surplus soil varies between $450 - $700, noting that some graves are required to be hand dug due to limited access to some burial plots. After reviewing the fees of the compared Council's and the actual income and expenditure for Nambucca it clearly shows that the funds generated only cover the costs for that years expenditure with no funds being placed in a reserve for the future maintenance, improvements and establishing new areas once the existing cemeteries are full. Whilst the Reservation and burial plot fees had a component of "maintenance" included, it is far below what will be required in the future. A small reserve exists which has carried over for many years and part has been used for the consultants who prepared the draft Cemetery Management Plan with the following balance. Based on what the other Council's charge and where Nambucca sits against the averages even after the deduction of $500 for grave digging, it is proposed to increase the following fees by 30% each year for four budget years (2012/13, 2013/14, 2014/15 & 2015/16) which will based on today's figures bring the fees to somewhere near or over the average. Council would then be able to review what the increase needs to be for the 2016/17 budget year based on comparative figures. The increases are critically necessary to ensure that adequate funds are recovered and opportunity to establish reserves for the future improvements and expansion that will be required into the future. The following tables provides comparative fees based on the 30% (approx) increase for Nambucca Shire, against a 3.5% compounded increase by the other Council's. These figures bring Nambucca into close alignment with the others even after taking into account that Council does not attend to the grave digging. Council has traditionally provided concessions for reservations that were made for several periods. These are prior to 31/12/1969 and then a lesser concession for reservations between 1/1/1970 and 30/06/1995. A further reduced concession for reservations between 1/7/1995 and 30/6/2007. It is proposed to continue to provide the concession for those reservation made prior to 31/12/1969 as it has been claimed and accepted that these reservations included the maintenance in perpetuity with only the Interment Permit being required. The two other concessions will remain, but will incur a 30% increase above the current concession over the 4 year period. The fee to be paid at Interment will be the base fee less whatever fee previously paid for the reservation plus the Interment Permit fee current at that time. The following Table clarifies this. It is proposed also to apply two new fees associated with the Relinquishing and/or Transfer of Reservation as experience is showing that a number of reservations are not being taken up, with people being buried elsewhere or being cremated and ashes being placed in a Columbarium Wall instead of a traditional burial. What is common is that family members are not aware of the reservations previously made and this poses a problem where a burial site is reserved and not other person is able to use it plot/niche and may remain vacant indefinitely. (If original Reservation fee < $36 no refund/ cost will apply. The future expansion of burial plots at either Macksville or Nambucca Heads will be designed to be a Lawn Cemetery with a nondenominational layout. A standardised form and size for headstones will be specified, and all burial plots will be dug to double depth. Based on experiences in other areas there are two acceptable forms for standardising headstones. One is a very prescriptive headstone envelope which specifies dimensions and provides only for a choice in material such as granite (various colours) or sandstone. Alternatively, the specifications could provide for some flexibility with a maximum height, width and thickness being specified and permitting the use of various finishes/colours with the latter being the preferred. However this would be presented to Council in the future when a new area is to be established. With the increased income through the proposed revised fee schedule it is proposed that any surplus between annual income and expenditure be moved to a Cemetery Reserve at the end of each financial year. Based on the proposed revised charges for 2012/13 and using the current data for 2011/12 it is estimated that approximately $22,000 would be placed in reserves in July 2013, $31,000 in July 2014, $40,000 in July 2015 and $52,000 in July 2016 creating a reserve of approximately $145,000 for the expansion of the Macksville and Nambucca Heads cemeteries with detailed survey and design commencing in the last half of 2013 (next year) and on-ground works during the 2014/15 budget year at Nambucca and 2015/16 budget year at Macksville. A full list of current (2011/12) and proposed (2012/16) fees for Cemetery services is circulated for Councillors information. The Table identifies the current Averages from the compared Councils against Nambucca's fees for the current year and the 2015/16 year average. This is based on the other Council's increasing their fees by 3.5% (compounded) each year. Cemetery management is an essential community service and is often a difficult matter to manage due to the emotion relating to a situation. A well maintained cemetery is greatly appreciated by the many people who attend the graves of loved ones. The provision of cemetery services is becoming expensive and adequate costs need to be generated for the lifetime management of the facility. The revised fee structure will no doubt create some concern amongst the community. However, if the fees are not incrementally increased, Council runs the risk of having to provide a lesser service which will also create concern in the community. No variation to working funds and the proposed revised fee structure should reduce any future need to seek additional allocation from General Funds. The purpose of this report is to advise Council of the result of the Exhibition LEP Amendment No. 7 which proposes to permit tourism facilities in rural zones as previously permissible in the Nambucca LEP 1995. One submission was received during the exhibition period and the Government Agency comments are provided in the body of this report. Based on the results of the exhibition and consultation it is recommended that the planning proposal be forwarded to the minister for the plan to be made. 1????????? That pursuant to clause 59 of the Environmental Planning and Assessment Act 1979 the Planning Proposal, associated documents and submissions be forwarded to Department of Planning and Infrastructure requesting that they seek the making of the Plan by the Minister. 2????????? That those persons/agencies who made submissions be advised of Council's decision. 3????????? That a fact sheet be prepared and advertised on Council?s website. 1????????? That Council not proceed with the amendment. 2????????? That Council amend the planning proposal. A common alternative form of temporary accommodation in Rural areas are tourist cabins and the Nambucca LEP 1995 allowed a ?Rural Tourist Facility? to be undertaken on Rural Land. Under this definition Council could accept applications for detached tourist facilities such as tourist cabins. The definitions which most closely achieve the intent of a rural tourist facility under the Standard Instrument LEP template were ?farm stay accommodation? and ?bed and breakfast accommodation?. Both these land uses were incorporated into the Nambucca LEP 2010 as permissible uses in the rural zones to capture activities previously permissible as a rural tourist facility. An amendment to the Standard Instrument Order on 13 July 2011 varied the definition of Bed and Breakfast Accommodation within the Nambucca LEP 2010. This recent change to the definition of Bed and Breakfast Accommodation has resulted in the Nambucca LEP 2010, not permitting activities such as tourist cabins in rural zoned land unless it is related to primary production. Tourism in the rural areas of the shire has the potential to create a positive contribution to the local economy. One of the potential risks of allowing this type of development is the misuse of tourist accommodation as dwellings, particularly where a dwelling entitlement is not available. It is anticipated that any tourist facilities misused in this manner could be appropriately addressed through regulatory action. ??????????? Allow ?Tourist and Visitor Accommodation? as permissible with consent in the RU1 Primary Production, RU2 Rural Landscape and R5 Large Lot Residential Zones but prohibit the land uses ?backpackers accommodation?, ?hotel and motel accommodation? and ?serviced apartment?. A Planning Proposal was lodged with the Department of Planning and a Gateway Determination was made to support the proposal on the 25 January 2012. A copy of the Gateway Determination is included as [Attachment 1]. The gateway determination required Council to consult with the NSW Rural Fire Service and exhibit the proposal for 14 days. Both these tasks are now complete and a copy of the correspondence from the NSW RFS is provided as [Attachment 2]. The planning proposal was placed on exhibition between 15 March 2012 and 30 March 2012. During this period Council received one public submission on the proposed amendment. However, the submission received is not specifically related to this Planning Proposal but for a private parcel of land. The matter will be investigated and the submission will be responded to appropriately. Should a further report be required on this submission it will be presented to Council at a later date. As part of the requirements of the Gateway determination Council was required to forward the planning proposal to the NSW Rural Fire Service who provided the following recommendations:. ?????????????? Development applications for all rural tourist facilities should be treated as a special fire protection purpose and be considered under section 100B of the Rural Fires Act 1997. Planning Response: The comments from the RFS are noted and the procedures recommended have been consistently applied to this type of development in the past. Other recommendations are in accordance with the Planning for Bushfire Protection Guidelines which Council staff apply to all developments on Bushfire Prone Land. The planning proposal itself is unlikely to result in any direct environmental impacts. As previously done under the 1995 LEP the environmental impact associated with rural tourist development will be considered through the development assessment process and associated local and state policy. In past Council has not encountered any social issues related to rural tourist development. Where social issues are raised through the development assessment process they will be given appropriate consideration in accordance with the Environmental Planning and Assessment Act 1979. The Nambucca LGA is widely recognized as a popular coastal tourist destination. This amendment will assist in providing alternative forms of temporary accommodation in rural parts of the shire and contribute to accessibility of the rural hinterland. The amendment will assist in providing for a variety of experiences from the low cost family accommodation, to large scale single destination development or boutique self contained accommodation. Tourism in the rural areas of the Shire has the potential to create a positive contribution to the local economy. This proposal relates to the conversion of some existing office space behind and attached to Bawrunga Medical Centre into additional consulting and medical rooms for Bawrunga Medical Centre. The proposal is therefore effectively an extension to the medical centre through conversion. The proposal will result in an additional three (3) new consulting rooms, as well as additional space for a staff lunch room, an increase in the existing office space and an increase in space dedicated to waiting areas. The proposal includes a request to vary Nambucca Development Control Plan 2010 (NDCP)? requirements in relation to provision of car parking, specifically the primary parking standard contained within Table C1 of Part C NDCP. Council?s Engineering Department do not support the request, which is for a substantial variation, as very limited parking is available at present, with no additional car parking being provided as part of the proposal. Your assessing officer is particularly concerned due the amount of complaints received about parking and footpath obstruction, including the recent residents petition, from residents within the surrounding area. 1????????? Pursuant to Section 79C(1)(a)(iii) of the EP&A Act 1979, the proposed development does not comply with clause C2.1 of the Nambucca Development Control Plan 2010, in relation to car parking requirements. 2????????? Pursuant to Section 79C(1)(b) of the EP&A Act 1979, it is considered the development has high potential to significantly impact further on existing traffic and parking issues in the surrounding locality. 3????????? Pursuant to Section 79C(1)(c), it is considered that as there is no opportunity to provide additional car parking to serve the development on site, and there is no alternative to provide adequate car parking,? that the site is not suitable for the development. 4????????? Pursuant to Section 79C(1)(e) of the EP&A Act 1979, it is considered that the proposed development is not in the public interest as it will exasperate existing issues regarding Highway Safety, which negatively impact on the existing amenity of the area. Pursuant to Section 79C(1)(e) of the EP&A Act 1979, it is considered that the proposed development is also not in the public interest as it will result in a significant variation to Council?s adopted standards, which may result in an undesirable precedent being set for similar applications. 1????????? That Council refuse the application. 2????????? That Council accept the request for a variation to the car parking standards within NDCP 2010 Part C. ??????????? Should Council choose this option then the application be referred back to the Town Planning staff to prepare a set of conditions to be applied to the Notice of Determination including a condition that restricts the number of patients it may have on its books to pre development numbers. The proposal relates to a Strata Titled property on the corner of Marshall Way and Farringdon Village behind (West) the Nambucca Plaza Shopping Centre. Bawrunga Medical Centre is occupier Lot 2 and Lot 1 is currently occupied by Farringdon Village Administration, which they use as their customer office. They are due to relocate and Bawrunga wish to extend their medical centre into the vacated space. This will involve some minor internal alterations and a complete reconfiguration of the existing floor space is proposed, resulting in three (3) additional consulting rooms with extensions to treatment, waiting and staff areas. The generation of further consulting rooms, and the employment of additional staff, both require the provision of further car parking. The site currently has seven (7) car parks which was required when the original DA for the Medical centre was approved (DA 1999/360). The new completed Medical Centre, if this pending DA were to be approved, would require a total of 28 car park spaces. There is no opportunity for the medical centre to expand it?s car parking hence the application for a variation. However, the variation is a substantial reduction and there are two contributing factors to this. Firstly, car parking requirements have marginally increased since the original DA was approved in 1999. Secondly, the Medical Centre has undertaken several internal modifications and constructed minor extensions to the original medical centre and these expansions have taken place without the opportunity to review car parking requirements. Circularised is a highlighted floor plan to show existing the extensions in purple, the extension proposed in this Development Application in green, with the original approved building non highlighted.? It should be noted some internal alterations to the floor plan have also been carried out. The applicants justification to the proposed reduction in car parking includes the fact that the current situation works despite there being insufficient on-site car parking spaces. However, Council records show that complaints are regularly received in relation to lack of parking leading to footpath obstruction at this location. It is noted that the Plaza Shopping Centre is near by and in particular a section of car parking to the rear of this, and the nearest car parking area to the Medical Centre, often has spaces available. The applicant also justifies the variation by stating this car parking can be utilised by visitors to the Medical Centre. However, Council is not in a position to facilitate an agreement between Bawungra Medical Centre and the Plaza Shopping Centre over use of these spaces by visitors to the Medical Centre. There is also the potential these spaces can be fully occupied by Plaza Shopping Centre customers, particularly with the predicted population increase through the Bellwood Subdivision in close proximity. Even if these spaces were taken into consideration, they are still approximately 70 meters away and it is questionable whether this is sufficiently close for an ill person to park their vehicle and walk to the Medical Centre for an appointment. The applicants also supports the request for a variation by explaining many doctors and other health professionals who are employed by the Medical Centre are part time and this should be factored into the calculation. However, the reduction in car parking is so short of what is required in this instance, any such revised calculations would not result in compliance. Furthermore, Council would not be able to restrict and control the use of the consulting rooms to only be used on a part time basis. Particularly with new residents moving into the area, with the rooms available, the opportunity is there for the rooms to be occupied full time and for the Medical Centre and it?s number of clients on the books to expand further. This would further exacerbate the existing situation of insufficient car parking available. The existing situation of insufficient car parking is causing issues as reflected in complaints received as advised from Council?s Engineering Department. 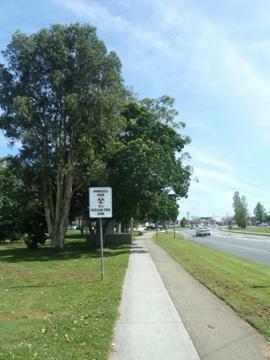 Footpath obstruction is an even greater concern in this area due to the high percentage of mobility scooter users and less mobile, and therefore particularly vulnerable, pedestrians who live in the existing locality. MTS does not support the requested variation to DCP requirements in relation to car parking. MTS advises to approve the development application would exacerbate the already grossly insufficient number of off-street parking spaces to ensure the development is self sufficient and it will generate additional parking pressure on Marshall Way on-street parking facilities and create additional hazardous pedestrian movements across Marshall Way. The memo provided from Manager of Technical is at Attachment 1. Should approval be granted, recommendation of several conditions including the need for an updated Fire Safety Schedule. Notes that Council is not the nominated PCA. This site is Zoned R1 ? General Residential. The application was notified and no submissions were received in response to the notifications sent. However as mentioned, a resident Petition has been lodged with the Engineering Department after the close of submissions referring to the parking congestion and obstacles on the footpath in this locality. The proposal relates to an existing and well established Medical Centre behind the Nambucca Plaza Shopping Centre in a predominantly residential area. The site is at the entrance to Farringdon Village off Marshall Way. The Medical Centre currently lacks sufficient parking for it?s existing capacity and can not provide any additional car parking as part of this proposals. A further extension of floor space and consultants to be based at the Medical Centre will further exacerbate the existing problem. Note: The Nambucca DCP 2010 would require 8 car parks for the original medical centre, but in 1999 the 1995 DCP only required 7 spaces which was provided. The site location on a roundabout does not assist in alternative solutions such as a ?drop off? zone outside the Medical Centre. The proposal relates to minor extensions to an existing Medical Centre. Although the extension proposed are minor, the Medical Centre has undergone some previous alterations and extension without Council?s knowledge so the increase in capacity from what was originally approved for the DA for the Medical Centre DA1999/360 is significant. Shown at Attachment one. Potential impact on traffic and pedestrian safety is the primary concern with this proposal. There is already a history of complaints with regards to obstruction of the footpath by vehicles who need to park near to the medical centre because sufficient off street parking is not available. The site does not provide opportunity to increase car parking in association with the extension and increase in staff, and subsequent patients, which suggests that the site is incapable of adequately supporting the proposal. A petition from the residents of Marshall Way and Farringdon Village was recently received by Council in relation to traffic safety issues at this location. These concerns were raised in relation to the existing situation and to allow this proposal will further exacerbate this problem. Unfortunately options have been considered and it has not been possible to find an acceptable solution to the existing problem, and approving this proposal will create a greater traffic management problem in this area. The expansion of the medical centre and provision of extra service locally is a good thing for the local community. However, it needs to be provided at an appropriate location with adequate car parking provision. The current car parking problems has the local community concerned enough to submit a petition with Council raising their concerns. The expansion of local businesses should be supported but when a business out grows its current location, a new location must be considered. Council recently received a petition following the constant obstruction of the footpath along Marshall Way due to insufficient off-street parking for the Medical Centre. To allow the extension to take place and further exacerbate this problem, may expose Council should an incident arise. 1??????? The development is to be implemented generally in accordance with the plans and supporting documents endorsed with the Council stamp, dated *** and authorised signature, and set out in the following table except where modified by any conditions of this consent. 2??????? All building work must be carried out in accordance with the requirements of the Building Code of Australia as in force on the date the application for the relevant construction certificate or complying development certificate was made. 3??????? The application for a Construction Certificate is to include plans and specifications that indicate access and facilities for persons with access disabilities to and within the development in accordance with AS 1428.1 - Design for Access and Mobility and Part D3 of the Building Code of Australia. 4??????? The application for a Construction Certificate is to include plans and specifications that indicate the landscaping of the site. Such landscaping plan must incorporate adequate detail to demonstrate compliance with the provisions of Nambucca Development Control Plan 2010. Such plans and specifications must be approved as part of the Construction Certificate. 5??????? All Plumbing, Water Supply and Sewerage Works are to be installed and operated in accordance with the Local Government Act 1993, the NSW Code of Practice for Plumbing and Drainage and AS/NZS 3500 Parts 0-5, the approved plans (any notations on those plans) and the approved specifications. ????????? c?????? No construction work can take place on Sundays or Public holidays. 7??????? All builders rubbish is to be contained on site in a ?Builders Skips? or an enclosure. Building materials are to be delivered directly onto the property. Footpaths, road reserves and public reserves are to be maintained clear of rubbish, building materials and all other items. 9 ?????? All demolition works are to be undertaken in accordance with the provision of Australian Standard AS 2601-2001 ?The Demolition of Structures?. Prior to demolition, all services are to be disconnected and capped off. No work is to be commenced in regard to the demolition or removal of the building until such time as the appropriate fees for disconnection of water and sewerage services are paid to Council where such services are no longer required. The sewer drainage system is to be appropriately sealed to prevent ingress of water and debris into the Council?s main. Arrangements are to be made with Council for the withdrawal of the garbage services and collection of the waste bins. 10????? At the completion of works an upgraded fire safety schedule is to be prepared and an essential fire safety statement issued, a copy of which is to be sent to Council, the Fire Commissioner and displayed on the premises. 12???????? The number of patients on the Medical Centres books must not increase once the development is completed, from the existing numbers of patients. The ?existing number? of patients is taken at the date of this Consent. I refer to the abovementioned Development Application and confirm comments made in previous discussions. The proposed renovations to the medical centre will further exacerbate the already insufficient number of off-street parking facilities to ensure the development is self sufficient. 3 Doctors and 1 external pathologist and say 8 employees at any given time, this equates to the requirement for 16 off street parking bays. The proposal is for three additional consulting rooms, one extra doctor and part time allied health practitioners, there is no reason to believe the part time usage of the consulting rooms wouldn?t extend to full time usage, therefore allowance for parking should reflect this, equating to an additional 12 parking bays. A further objective of Councils DCP 10 Part C Car Parking and Traffic is that ?adequate provision is made for safe movement of vehicular and pedestrian traffic within and near any proposed development?. As the proposal has insufficient off street parking facilities the adjoining streets would be expected to provide on-street parking for patients and possibly staff of the medical centre. On site inspections have confirmed patients of the medical centre already utilise the Marshall Way kerbside parking facilities on the opposite side of the road to the medical centre as a means of convenient parking. There is really nowhere else for the patients to park as on-site facilities are occupied. Frail and sick patients are forced to cross Marshall Way to access the Medical Centre. Council has received a number of complaints regarding lack of parking adjacent to the centre with its current usage. The proposed expansion of the Bawrunga medical centre will generate additional parking pressure on Marshall Way, particularly on the opposite side of the road. With the proposed release of 500 lots off Alexandra Drive and its possible connection with Marshall Way an additional 6,000 vehicles per day could be passing the medical centre daily. Patients already struggling to cross Marshall Way would find it impossible and dangerous, no doubt further on-street parking restrictions would be put in place and patients would need to look elsewhere to park. Parking for patients would also overspill into the adjacent Nambucca Plaza Car Park, approximately 70m from the centre. The developers of the plaza have been required to construct the car parks for the provision of staff and customers of the Plaza. The property is owned by Bawrunga Medical Service. It is strata titled with 2 lots. The intention is to revert to one Torrens tile property and uniformly Commercial. SP76307 is attached and would need to be amended to reflect the proposed changes. In short. - The proposed renovations/expansion to the medical centre will further exacerbate the already grossly insufficient number of off-street parking spaces to ensure the development is self sufficient; it will generate additional parking pressure on Marshall Way on-street parking facilities and create additional hazardous pedestrian movements across Marshall Way. Council at its ordinary meeting held on 16 February 2012 resolved to seek community comment before accepting the offer of the sculptured whale and seek proposed locations for the installation of the structure. Submissions on whether the community would like to see the whale sculpture installed and suggestions of the proposed location closed on Friday 23 March 2012.? This report now seeks Council?s direction as to whether it wishes to accept the donation of a timber sculptured whale and the associated cost of installing the sculpture and selection of a permanent location. 1??????? That Council advise Mr Kroie that it will accept the offer of the sculptured whale. 2??????? That Council allocate an amount of $3000.00 from working funds for the installation of the sculptured whale at the Nambucca Surf Life Saving Club. ?????????????? Reject the offer of the donation of a timber sculptured whale. ?????????????? Accept the offer of the donation of a timber sculptured whale. In accordance with Council?s resolution the offer was advertised in the Nambucca Guardian News, the Hibiscus Happynings, the Mid Coast Observer and on Council?s website seeking public comment. There are no funds available in the 2011/12 budget for the installation of the sculpture and Council would need to make an allocation from working funds for the amount of $3,000.00 if Council resolved to accept the offer and install the sculpture. An amount of $3,000.00 from working funds if Council resolve to accept the offer and install the sculpture. 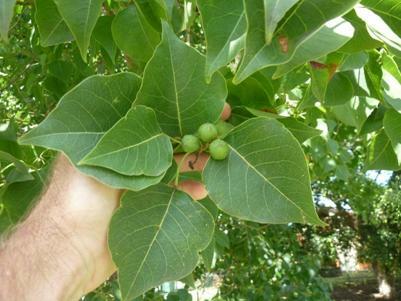 The Chinese Tallow Tree (Sapium sebiferum ) is a declared Class 3 Noxious Weed in the Nambucca Shire Council. It is a requirement of the Noxious Weed Act, 1993 that all Class 3 weed species ?must be fully and continuously suppressed and destroyed.? 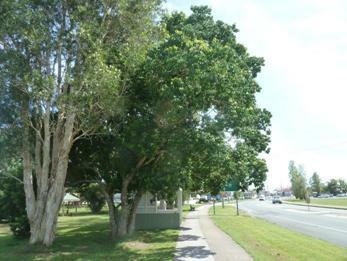 There are three (3) Chinese Tallow Trees established in the south western fringe of Dawkins Park which are quite large and currently provide shade and shelter for seating regularly utilised by the staff of Autumn Lodge, and also for the main bus shelter located on the western side of the highway, between Autumn lodge and the Caltex Service Station. The removal of these trees will create a large impact to the aesthetics and amenity of the public area, but it is proposed to re-establish more desirable, advanced native tree species (such as Lemon Myrtle, Backhousia citridoria or Cheese Trees, Glochidion ferdinandi) in the immediate area to fill in the gaps created by the removal of these trees. Council requires private land holders to manage Noxious Weed species according the requirements of the Noxious Weed Act.? Therefore, as the Local Control Authority, Council should be seen to be controlling high class Noxious Weeds within lands under its ownership/management to a level required by legislation.? That Council note that the three Chinese Tallow trees in Dawkins Park, Macksville, which are declared Class 3 Noxious Weeds are to be programmed for removal and that Council will replant three (3) advanced trees. There are no options as Council has a requirement under the Noxious Weed Act, 1993 to remove these weed species. Chinese Tallow Trees (Sapium sebiferum) are recognised as a high class weed species within the Nambucca Shire Council local government area and surrounding region. ?They are recognised as a high risk species within the Northern Rivers Invasive Plants Action Strategy for having the potential to become highly invasive and have substantial impact. ?Chinese Tallow trees produce large amounts of berries (see photos in this report) that can be widely dispersed by bird species. Invasive Plant Species have the ability to impact on Agricultural production, the Environment and on human health.? The removal of these mature trees will prevent their potential spread to adjoining areas. Removal of these trees will have an impact on the amenity and aesthetics of Dawkins Park, but this will be ameliorated through the establishment of more desirable native tree species.? Removal of Invasive Plant Species helps to maintain agricultural production and ongoing economic viability of the district. Failure to remove the trees would be a legislative non-compliance and Council would risk a penalty fine. The 2011/12 budget contains an allocation for the removal of the trees. There is no variation to working funds. The 2011/2012 Contract Report from Australian Lifeguard Service has been received by Council for the patrol areas of Nambucca Heads, Scotts Head and South Valla Beach.? A copy of the Report is available to Councillors upon request. Under the provisions of Council?s 2011/12 Management Plan, the Report is to be submitted to Council by 31 March annually, and will be reflected in the March Quarterly Performance review..
That Council receive and note the Season Report for 2011/2012 by Australian Lifeguard Service. ?????????????? Consider extending life guard service through other holiday periods of Spring and Easter, Autumn school holidays. ?????????????? Consider extending the hours of the life guard service from 9.00 am to 5.00 pm. Nambucca Heads and Scotts Head Surf Life Saving Clubs also provide valuable volunteer hours in addition to the contracted services.